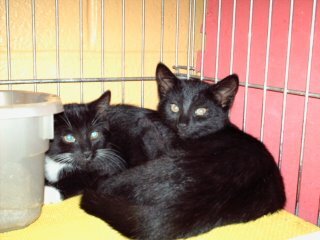 These 2 laid back brothers are around 3-4 months old. They are very friendly, and once they had completely awakened from their naps, they were very playful. They are available NOW and their LAST DAY is listed as OCTOBER 3. Are these two available still? yes people can always adopt directly from spalding but oftentimes they do NOT realize that pound will pts after 5 days if no room to hold. that's why STK steps up to pull them to foster care or boarding and then tries to find homes or rescues.